The due date for early-bird registration is April 16! 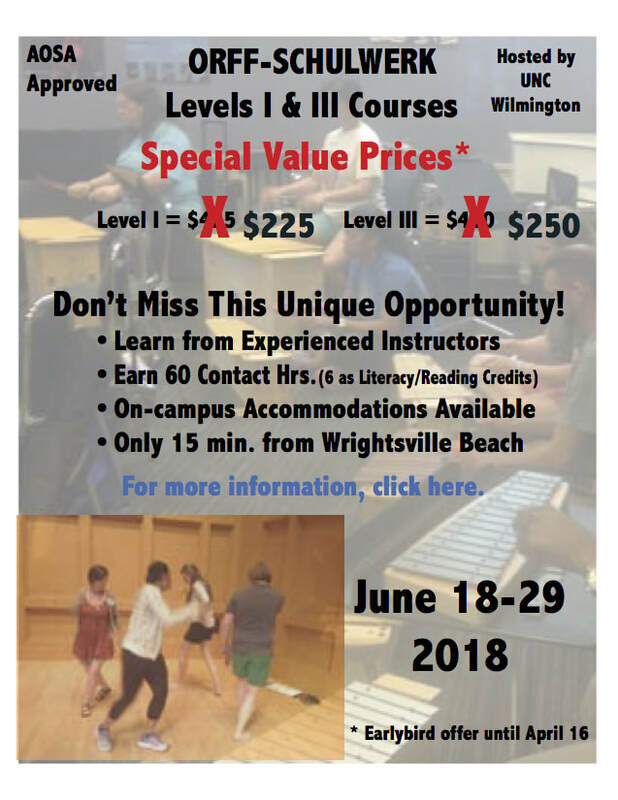 Click here to watch a video announcement about UNC Wilmington's Levels Courses this summer. *This is not a part of NEAOSA's workshop series. ​It is a separate opportunity with its own registration process and cost.